This Wednesday we learned to build instruments! 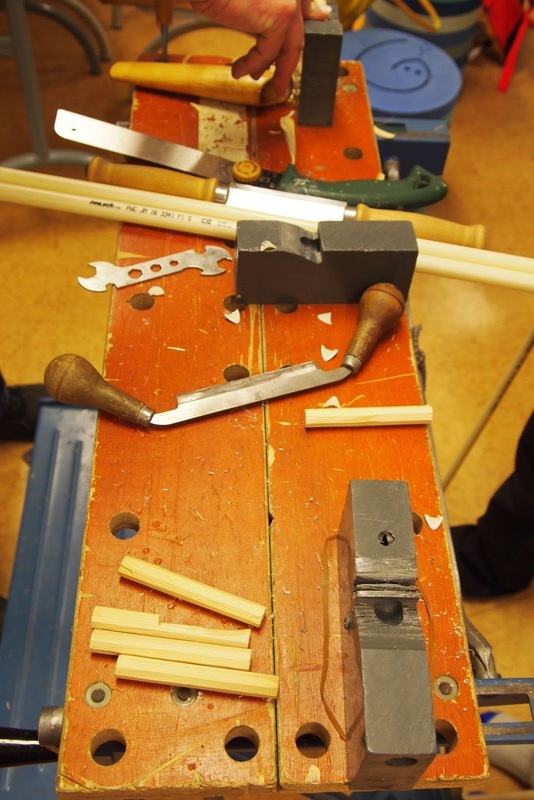 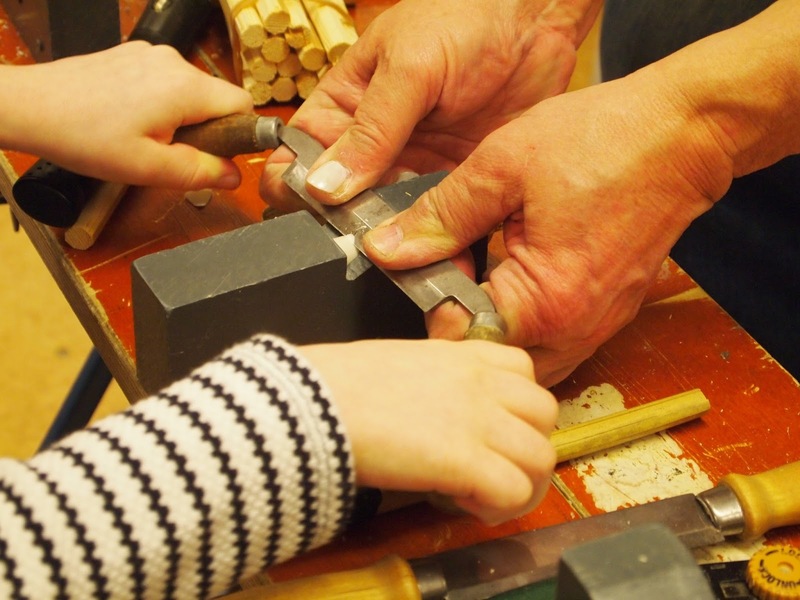 An instrument builder, musician and composer Mikko Perkoila helped all the children to build their own long flutes. We are very grateful. 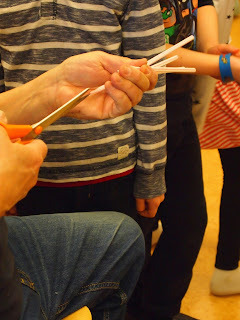 a whistle named 'mehupillioboe', made out of a plastic straw. and an African percussion instrument made out of a bamboo-stick called rare-rare. 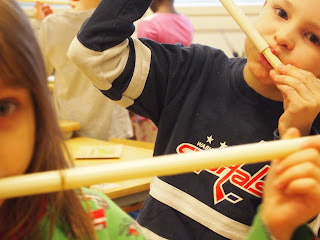 Thus the main objective of this week's lesson was to build a long flute. 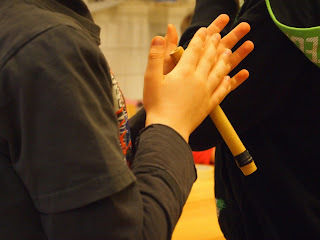 According to some theories this type of flute dates back the time before bronze age. 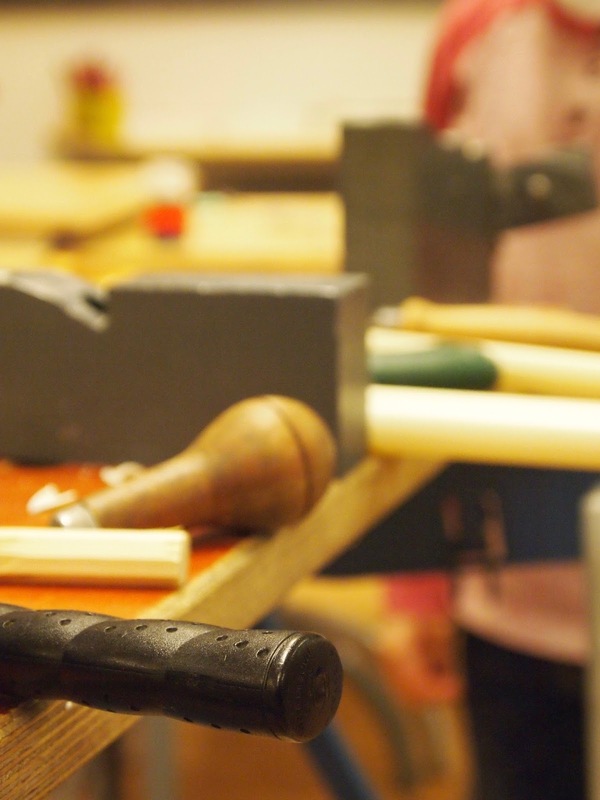 Some suggest the flute even to be the oldest instruments ever, made by humans. 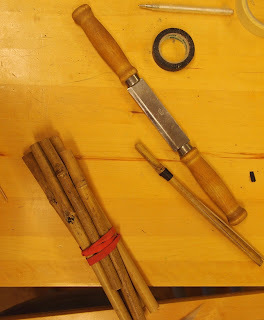 The long flute is basically a tube (in this case, an electric pipe) with a hole and a wooden plug in the other end. Our flutes are D- flutes. 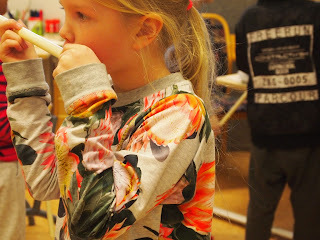 As long flutes produce overtone- scales, next weeks task will be to get familiar with the new scale and start to create some nice music with our kanteles!